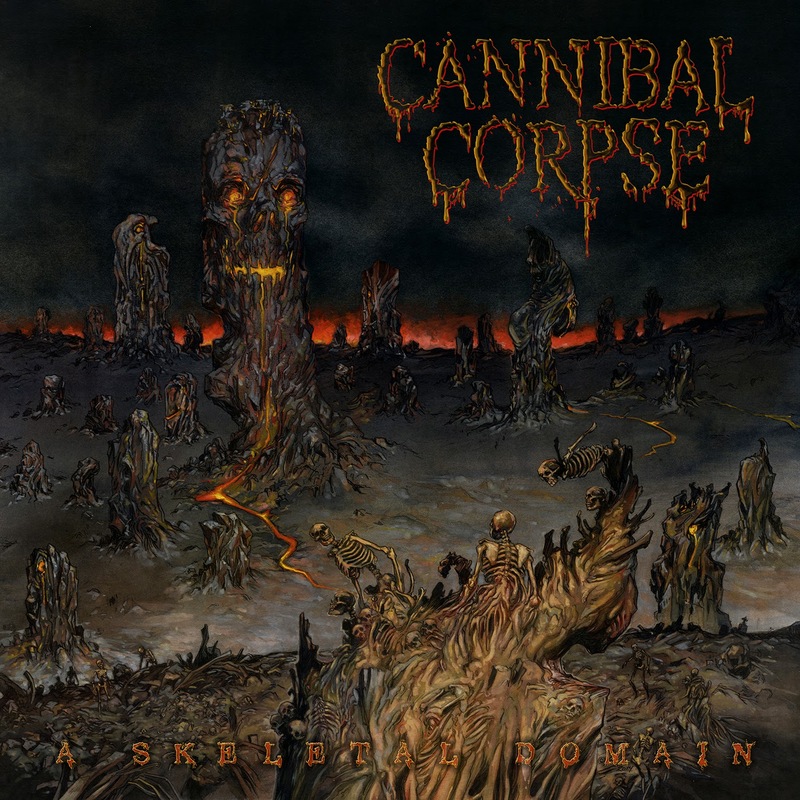 Cannibal Corpse are practically a household name at this point, and as such they don't necessarily need an introduction. 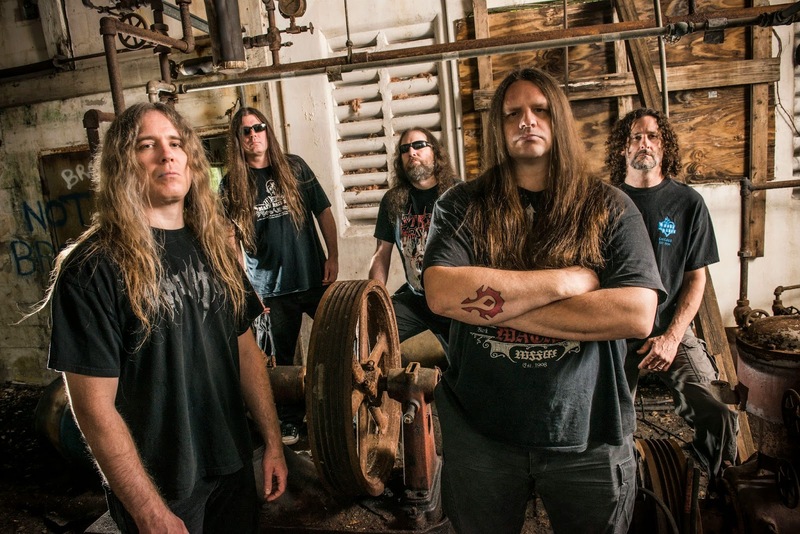 The band have been going strong for over 25 years at this point, and they've been able to maintain a stagnant line-up for most of the duration; their original vocalist, Chris Barnes, having been replaced early into their career with George Corpsegrinder Fisher. They're a staple in death metal, a go-to for many and one of the first death metal bands that most newcomers become familiarized with. As with any band with such high recognition and a well rounded fan base, a large assortment of their discography can be classified as hit and miss. This Fall will see fans entering A Skeletal Domain. Lucky number thirteen, A Skeletal Domain is an asylum to a revitalized Cannibal Corpse, where fermented aggression and obscene amounts of gore manifest themselves with a certain sadistic prowess that only the long standing legends of death metal are able to conjure. 2012's release, Torture, had the band sounding just that; tortured and exhausted, with few tracks like "Scourge of Iron" and "Encased in Concrete" leaving a lasting impression. Not only does the new content within A Skeletal Domain show off how refreshed the band sounds, but also that Cannibal Corpse are still the masters of catchy choruses, original riffs and horrific nightmarescapes. The group have kept their signature sound, from the one string bridges that lay tantalizingly between power riffs to Corpsegrinder's beefy growls and unexpected cries. However, looming in the mist of breakneck tempos and blood-soaked carnage are drums that have found themselves the subject of a new, yet subtle, elemental effect. The bass drum specifically has been given a bombastic boost of depth with an immersive, near cinematic, aura enforcement that makes the kicks and even the tom-toms pop in a darkly vibrant manner. This feature stands out the most during "Icepick Lobotomy" and "Vector of Cruelty". The rhythm guitar doesn't offer up any new techniques, however the riff compositions are as symmetrically malevolent as the tales spun by the lyrical matter; this is achieved by the use of chords that are played mostly between frets 1 and 8, utilizing power chords like E, F, C and G to make the most out of the abyssal sound. Hordes of pummeling power chords lash out at the listener, while unexpected and well placed signature bridges make air guitaring a mandatory occurrence while headbanging along to the content. The lead guitar implements an unwavering arsenal of manufactured solos that aren't exactly versatile, but they serve their purpose and are spiced up by incorporating the whammy bar; the most notable being within the title track and "Headlong into Carnage". With tempos that nearly breach the speed of light, disturbingly slaughterous lyrical themes, brutally hellish vocals, dark guitar riffs and some of the best drumming of the entire Cannibal Corpse catalog, A Skeletal Domain proves to be a mighty return for the flag holders of death metal. Arguably, an album of this magnitude hasn't been heard from their discography since earlier in their career; perhaps since as early as The Bleeding, although many other titles have had their hits and misses. An appropriate Fall release, this season is proving to be one of the best for metal in general. You've gotta hear it to believe it, pick this one up from Metal Blade Records on September 16, 2014!